“Beyond the vertigo of contemplating a gem of pure cruelty, Jason Hrivnak is a writer without equal. A striking style, of the meticulously-crafted word… And all superbly translated by Claro, translator of the impossible, who renders into French this subtle language full of traps. 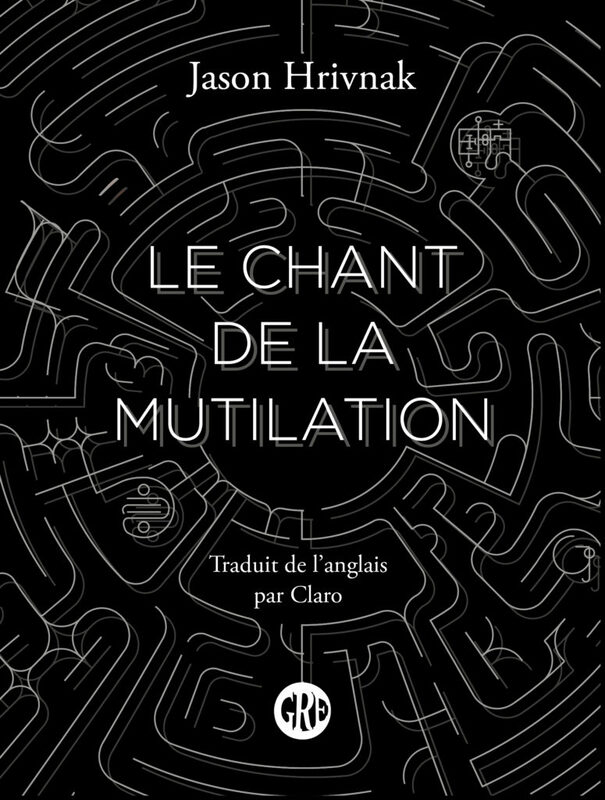 Le chant de la mutilation, the French translation of Mutilation Song, is now available in paperback and ebook formats from Éditions de l’Ogre, Paris-based specialists in the “literature of unreality”. The translation is by Claro. Jason Hrivnak’s second novel Mutilation Song is now available from award-winning publisher ChiZine Publications, in both trade paperback and ebook formats. Tara Lennart of BooKalicious (“le booktube de la littérature indépendante”) has posted a video review of La maison des épreuves on her Booktube channel. An audio file of Tara reading the novel’s opening passage is also available on SoundCloud. “La maison des épreuves is a book that obliges readers to leave their passivity, a sometimes disturbing book with a complicated construction. That being said, Jason Hrivnak’s first novel has something obsessive about it… One musn’t just read La maison des épreuves, one must take total possession of it. © All site contents Copyright 2018 Jason Hrivnak except where otherwise indicated. Cover art for Mutilation Song by Eric Mohr. Cover art for The Plight House by Tom Poirier. Site dev and hosting by Allen Zuk.